A pedicure is a must for everyone. So relaxing and reviving it’s the no1 salon treatment. Perfect for a pick me up, regular care or to get ready for the summer, this is your year round treat! Professional Beauty Care is renowned for its wonderful pedicures, We focus on what your feet really need. Customising each and every treatment to YOU. The ultimate in pampering, this alluring fragrance is inspired by the flowering chamomile plant with its stress-reducing nature and honeysweet aroma; Chamomile Mint is packed with antioxidants along with refreshing mint to help invigorate. Chamomile Mint pampers the skin leaving feet soothed, smooth and touchably soft. Pedicure by OPI is a system of professional pampering products, developed into an extraordinary spa experience to give you the ultimate pedicure experience. An exclusive complex of botanical extracts and vitamins that cleanse, hydrate, renew and restore the spirit and mind as well as the feet. Put your feet up and enjoy this refreshing revitalizing pedicure. Your feet will be soft, invigorated and perfectly polished and buffed by the end of this treatment. Perfect for 4-6 weekly maintenance. Wonderful for someone’s first Pedicure or if you really want to spoil your feet. Disintegrate calloused hard skin, rehydrating the skin for perfectly soft supple feet. Includes AHA Callous softener, electric foot rasping & any OPI nail lacquer and/or rhinestone of choice. Put your feet up and enjoy this refreshing revitalizing pedicure. Your feet will be soft, invigorated and perfectly polished and Swarovski crystals applied in a beautiful daisy design at the end of this treatment. Perfect for holiday, special occasion or summertime toes. See Specialized Nails for more details. To refresh your pedicured toe nails or to change your colour. Basic, quick and simple. French Pedicure…… So beautiful and natural. Great for any special occasion or everyday wear. Includes use of OPI Pink & White nail lacquer, plus the OPI Mint and Chamomile Pedicure. Check out more treatments for you…..
use the online booking form to book your treatments. OPI Manicures, the perfect partner to your Pedicure Treatment. OPI Gelcolour, a longer lasting addition to Manicures & Pedicures. 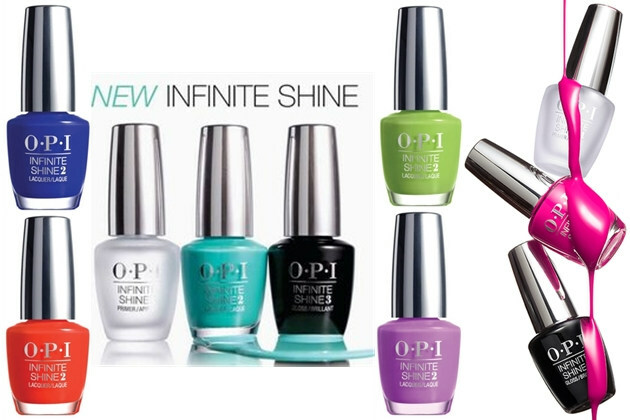 OPI Infinate shine, dont want Gel Colour, this is the next best thing!